Dr. Ryan Fleming and his friendly and competent staff are dedicated to patient comfort and quality care. 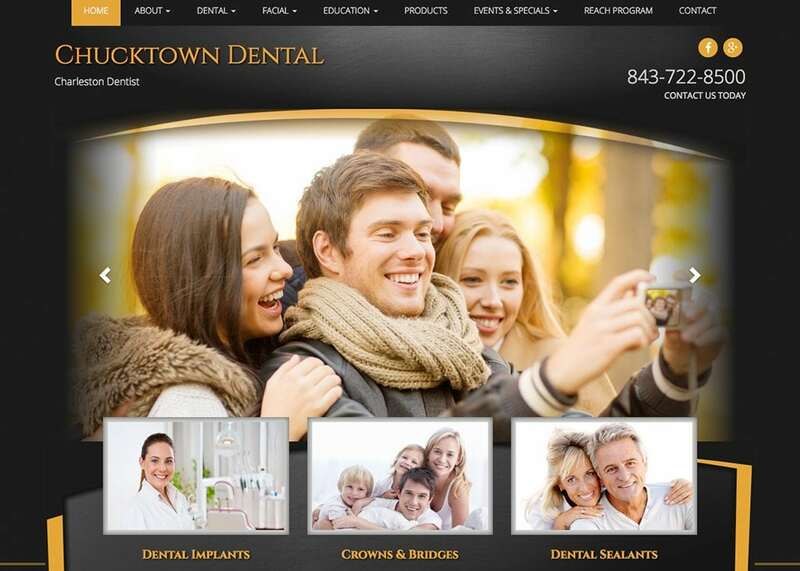 At Chucktown Dental they provide the best and latest in dental technology and treatment options. The staff provide gentle, family-oriented dental care to the adults and children of this community. They utilize the best equipment sterilization techniques available to dentists. In addition to General Dentistry and Cosmetic Dentistry, they work with specialists in Periodontics (gum diseases), Implant Dentistry, and Endodontics (root canal treatments), as well as other specialists. Their team emphasizes comprehensive quality care and preventive dentistry. The dental website we have designed for Dr. Fleming is a modern and sleek theme. A quick contact form was created so they are easy to be contacted and accessible. The dark and rich color scheme and gold accents provide an overall elegant look.